Volta is rather unique as far as shows go, and if you’ve got a mind to check it out, you’ll need some additional information about the performance, venue, and dates, so we’re here to hook you up with all the details you’ll need before you head on out to see the amazing talents giving it their all. 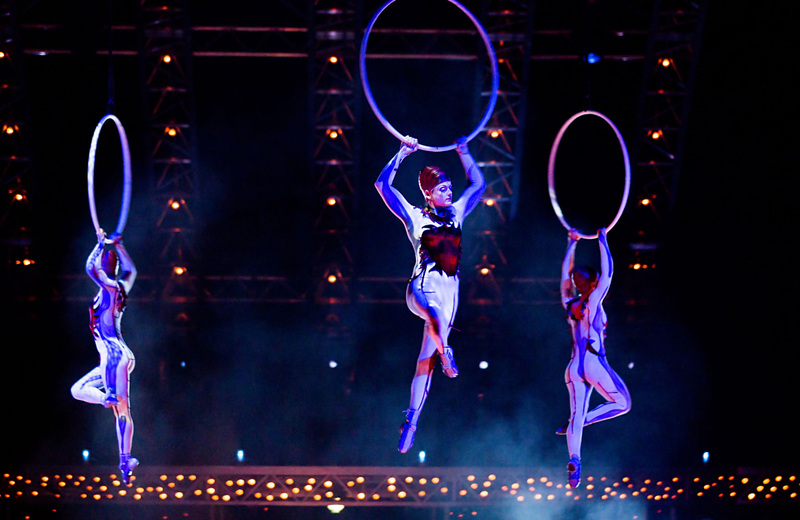 What’s Cirque du Soleil and Volta All About? This is a visually stunning and wholly-thrilling experience, so you’ll be doing yourself a big favor by checking it out. You’ll be able to grab some tickets directly from the Cirque du Soleil website, and there are various tiers depending on just how fantastic you’d like your show experience to be. Regular tickets, obviously, grant you run-of-the-mill access to the show on one of the performance nights. There are several other options that can take you even deeper, if you’re interested. The Behind the Scenes tickets, for instance, will give you a backstage tour to meet some of the artists from the show, premium seats from which to view said show, and access to other perks like an exclusive suite, cocktail reception, special hors d’oeuvres menu, complimentary parking, and fantastic parting gifts. The Hennessy Black VIP Experience offers something similar, along with the best seats in the house from which to check out this riveting show. In case you were wondering the fun will be happening at AT&T Park, home field for the legendary San Francisco Giants. No baseball for this particular event, however, as it will all be geared toward Cirque du Soleil and their new show. You can get their easily, as AT&T Park is located right by the South Beach Harbor in Millie Mays Plaza. You can probably walk the distance, but if you’d prefer a pair of wheels, you can drive yourself (if you don’t mind paying for parking) catch a rideshare, or hop on public transport. Anything Fun to do Afterwards? Momo’s — Upscale “New American” dishes, along with pizza, drinks, and many a game night and happy hour to take part in. Polo Grounds — This pub & grill might not look like much, but the cocktails and delicious bar food more than make up for the less than opulent facade. Alchemist Bar & Lounge — You like your food along with some steampunk decor? This is your spot, and it’s more than just the aesthetic that’s appealing, as the cocktails leave nothing to be desired here. TRES — For a bit of Mexican flavor, you can check out TRES and get your fill of tequila, margaritas, and more in a lovely interior and lively back patio setting. Saison — Cozy, romantic, and superbly French, you’ll be digging this fabulously upscale and luxurious restaurant for sure. There’s plenty of excitement to be had around wonderful apartment communities like The Towers. With a location like this, you’re in prime position to enjoy all of the wonders the of the Bay Area, from the Embarcadero to the Yerba Buena Center, and being the superbly walkable area it is, getting around it all is a snap. This is the way to live when you’re in The Bay, so be sure to check out everything The Towers have to offer and make this your choice for luxury in sunny San Francisco.